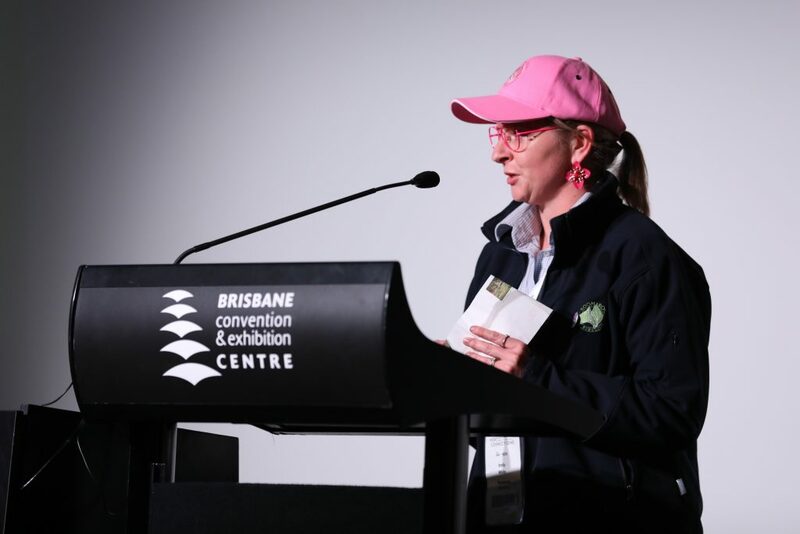 Delegates at Hort Connections 2018 have celebrated the vital role that women play in horticulture around the country at this year’s Women in Horticulture event, sponsored by Boomaroo Nurseries, which brought together a roster of inspiring speakers to talk leadership and life on the land. 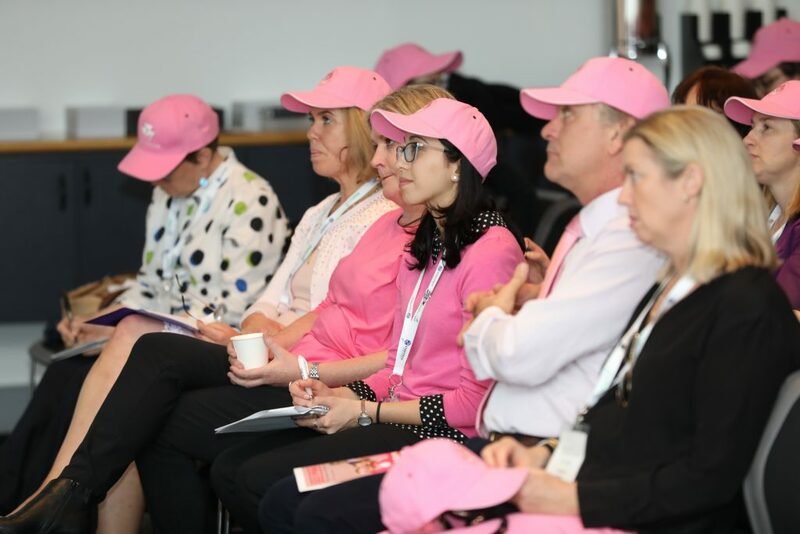 This year, Australia’s women in horticulture went pink to raise funds for breast cancer research, with strong support from Boomaroo handing out pink caps and flowers from their nursery, as well as a great table of pink lollies to perk up the group. Through a combination of online donations, on-the-day cash donations and Boomaroo’s great support, we’re very proud to say we’ve now raised over $5,000 to help fight breast cancer – and our online donation page is still open if you’d like to donate! 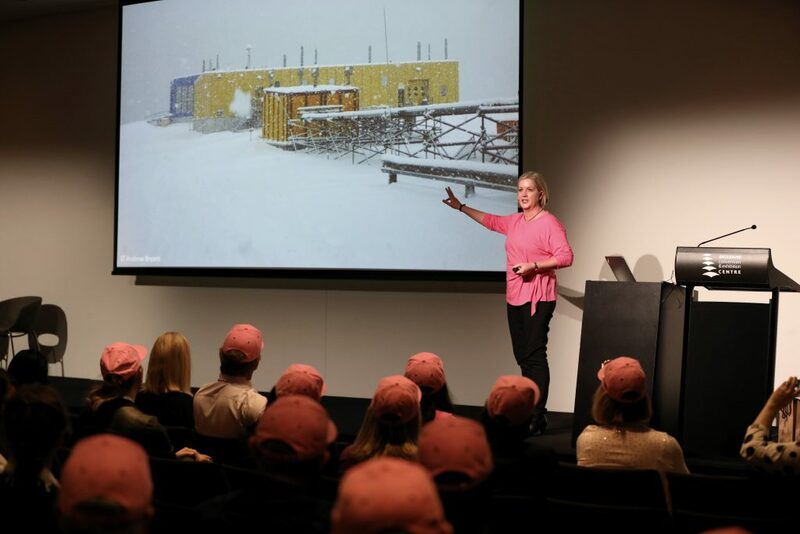 This year’s keynote speaker Rachael Robertson spoke about her experience in practical, on-the-ground leadership skills – which she put in action when she became the youngest-ever person to lead an expedition to Davis Station in Antarctica. 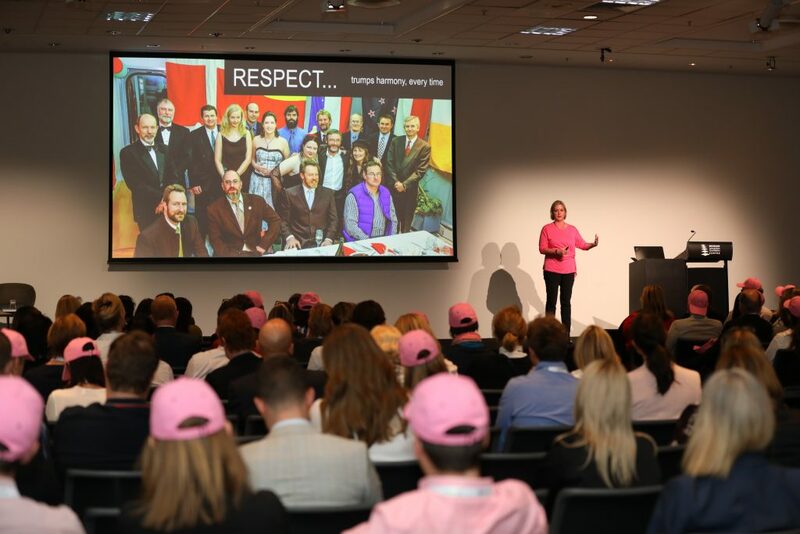 As women step up to more leadership roles in horticulture and across agriculture more broadly, Rachael’s discussion was a valuable look at how to deliver effective leadership under pressure. Museums Victoria’s Liza Dale-Hallett also spoke at the event, discussing her work on the groundbreaking Invisible Farmer project. This project is the largest-ever study of Australian women on the land, and Liza gave delegates an eye-opening look how women’s contributions to agriculture are missing from many current history records – making her work a great opportunity to highlight the critical role women have historically played, and continue to play, in our regional industries and communities. Attendees also heard from Pip Courtney, from ABC’s Landline, learning about her insights from her time as a reporter in regional Australia. 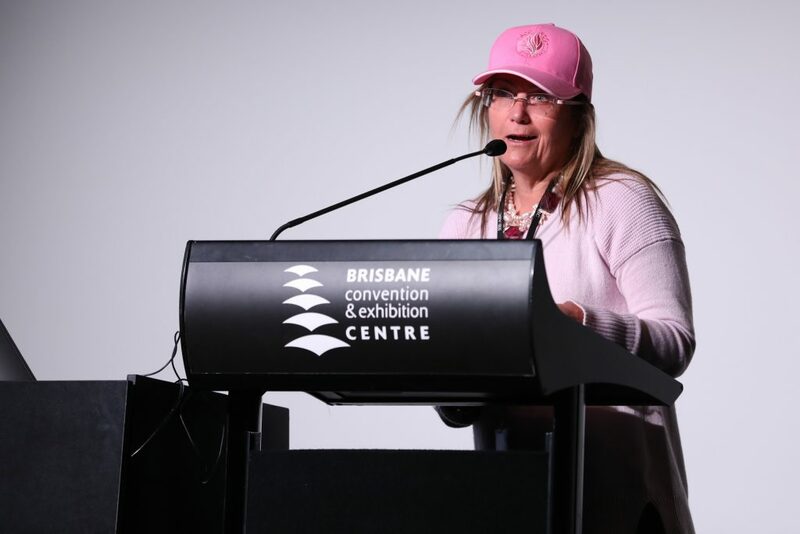 Pip has been reporting for Landline for 25 years and has hosted the show since 2012, making her a familiar face to anyone in our industry, and it was a pleasure to have her back again to speak to delegates about the importance of unity in horticulture. Pip also inspired attendees with a simple message: you don’t need an official title to lead. The group also got to watch a video recap of the 2018 Women’s Industry Leadership and Development Mission to Europe – we’ll be uploading this to our YouTube channel soon, so keep an eye out for it! Finally, AUSVEG Deputy Chair Belinda Adams recognised the ten nominees for this year’s Women in Horticulture Award, proudly sponsored by Boomaroo Nurseries. You can see all nominees for every award this year on our website, or see the full list of award-winners here. If you couldn’t make it to this great celebration of women in horticulture, we’ve added some photos of the event below for you to take a look. For AUSVEG’s media statement about this event, see here. This post appeared in the AUSVEG Weekly Update published 21 June 2018. Subscribe to the Update using our online form to receive the latest industry news in your inbox every week!